Thousands of buyers from across the coffee shop and food-to-go sector will be heading to London for lunch! this week. Doors open tomorrow at ExCeL (10am, Thursday 20 September) with 6,000+ attendees expected over two days. The compelling line-up that awaits them includes 50 big name speakers appearing in 25 Keynote Theatre sessions, plus a record 370 exhibitors showcasing 1000s of food-to-go innovations – from ingredients to kitchen kit and counter displays, from the latest food and drink to packaging, payment solutions and business services. “lunch! is the only UK event that annually attracts so many leading innovators, influencers, trailblazers and decision makers from across the food-to-go sector together in one place at one time,” explains Chris Brazier, group event director of lunch!. “It’s proved itself year after year to be an essential visit to see what’s new and compare the latest innovations from emerging start-ups and speciality producers alongside some of the best known brands. All while keeping up-to-date with the latest insights on trends, business strategies and success thanks to its an unrivalled speaker line-up. “That’s why all the major food-to-go operators and retailers, contract and travel caterers, wholesalers, independent and multiple cafés, convenience stores, coffee houses, delis, and sandwich shops annually attend. And they’ll be back packing the aisles and doing business at their industry show this week. We’re looking forward to a very busy and productive two days,” he says. The show’s pre-registered visitor list already includes: Aldi, Alton Towers, AMT Coffee, Apex Hotels, Aramark, Arsenal Football Club, Asda, Bagel Factory, Barburrito, Bartlett Mitchell, BaxterStorey, Benitos Hat, Benugo, Bidfood, Booker Retail, Boots, Bourne Leisure Group, British Airways, BP, Budgens, Caffè Nero, Caterleisure Group, Center Parcs, Chartwells, Chilango, citizenM Hotels, Coco di Mama, Compass Group, Condor Ferries, Coffee#1, Co-op Food, Costa Coffee, Costco Wholesale, Crussh, Debenhams, Delaware North, Dobbie Garden Centres, EAT, Elior UK, En Route International, Esquires Coffee, etc.venues, FCB Artisan Espresso Bars, Eurostar (UK), Foodbuy, Fortnum & Mason, GAIL’s Bakery, gategroup, Greggs, Harris + Hoole, Harrods, Harvey Nichols, Holland & Barrett, Ikea, ISS Facility Services, itsu, John Lewis, LEON, Lidl UK, Londis, Krispy Kreme, Marks & Spencer, McColls Retail Group, Merlin Entertainments, Morrisons, Network Rail, Nisa, Ocado, Picturehouse Cinemas, Planet Organic, POD, Pret A Manger, Puccino’s Worldwide, Rail Gourmet, Roadchef , Sainsbury’s, Selfridges, Serco Leisure, Shell, Small Batch Coffee Co, Sodexo, SPAR, Starbucks, Tesco, Thorntons, Tortilla, Waitrose, Virgin Trains, Welcome Break, WH Smith, Whitbread, Wild Bean Café, Wyevale Garden Centres, Z Hotels and many more. A raft of high-profile brands – including Pret, itsu, Greggs, Caffè Nero, Costa Coffee, EAT, Taylor St Baristas, and Tortilla, are preparing to share their expertise at lunch! 2018. There are 25 free sessions to enjoy – including exclusive Keynotes, interviews, research updates and panel discussions – in two dedicated Keynote theatres (see summary below for running order). · Anya Marco, UK coffee market expert: Coffee shops – is the panini dead? Fun, inspiring, informative, innovative, invaluable, exciting, busy, diverse, fantastic, and unmissable are just some of the words this year’s speakers have used to describe the show. “I feel passionately about delicious, fresh, fast-food, so I’m delighted to be speaking at the only trade show devoted to the food-to-go sector. See you at ExCeL for lunch!” says Julian Metcalfe, founder of itsu & Pret. For further information about the free seminar line-up, full exhibitor listings, and the Innovation Challenge Awards entries, the 2018 Show Guide is now available to view online at www.lunchshow.co.uk/show-guide-2018. 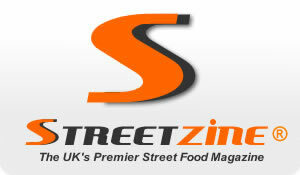 For the latest exhibitor news, please visit www.lunchshow.co.uk/exhibitor-press-releases. lunch! is free to attend for pre-registered trade visitors and relevant press representatives only. Advance online registration closes at 9.30am tomorrow (Thursday 20 September), after which a £20 door charge may apply. To register in advance for a free trade ticket to lunch!, please visit www.lunchshow.co.uk and quote priority code LU26 (http://www.eventdata.co.uk/Forms/Default.aspx?FormRef=Lun98Visitor&TrackingCode=LU26).